You must make reservations at least 5 minutes in advance of the time at Nell's. We have a parking lot to the south of our building which is shared with the other businesses in the business park. Nell's Catering will help you plan and host a truly memorable event - where every step of the way you and your guests will be treated to the same impeccable quality and service for which our restaurant is known. We cater everything from multi-course dinner parties for groups of eight or more to parties up to to several hundred people. We have worked with customers on a range of events, such as weddings, corporate dinners, memorial services, office lunches, Bar Mitzvahs, Bat Mitzvahs, holiday parties and simple cocktail receptions. The bottom line is that we are flexible. Nell's is an intimate, chef-owned restaurant located in the vibrant Green Lake neighborhood. Open for dinner seven nights a week, Nell's offers European-inspired New American cuisine featuring the finest Northwest seasonal ingredients. Our chef Philip Mihalski's cooking approach unites his classic training in some of the most celebrated kitchens in New York City and France with his passion for freshness and simplicity. 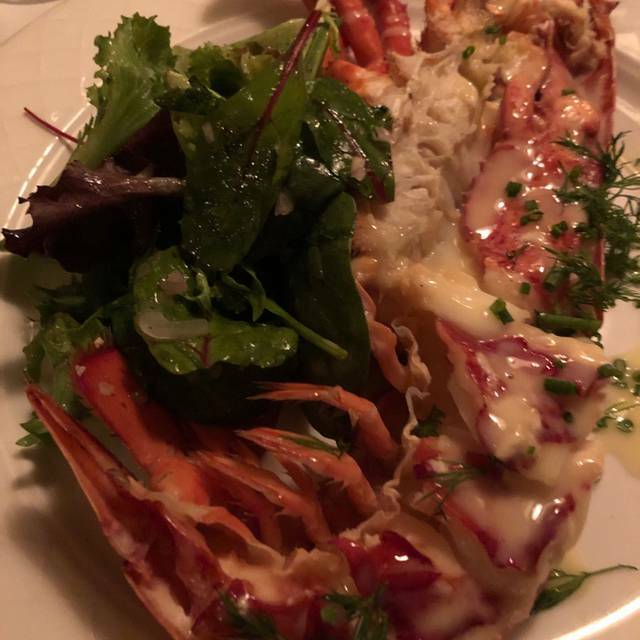 When dining at Nell's you can choose from our current seasonal fare or enjoy our five course tasting menu, the finest of what we offer from appetizer through dessert, at a fixed price. Nell's menus are designed to pair beautifully with your wine selection from our large wine list. We also offer vegetarian and vegan options on request. *Contains raw or undercooked items that may increase your risk of food borne illness. Lovely well balanced meal with interesting flavors, combined with exceptional service from start to finish. Really nice wine pairing as well. Will defiantly be back soon. Special restaurant week menu with wine pairings. Always a treat of tasty offerings. Nell’s is a bit of an anomaly in the Green Lake neighborhood...this is white table cloth fine dining in the land of (primarily) coffee shops and fast comfort food, like pizza, burgers, and fish & chips. 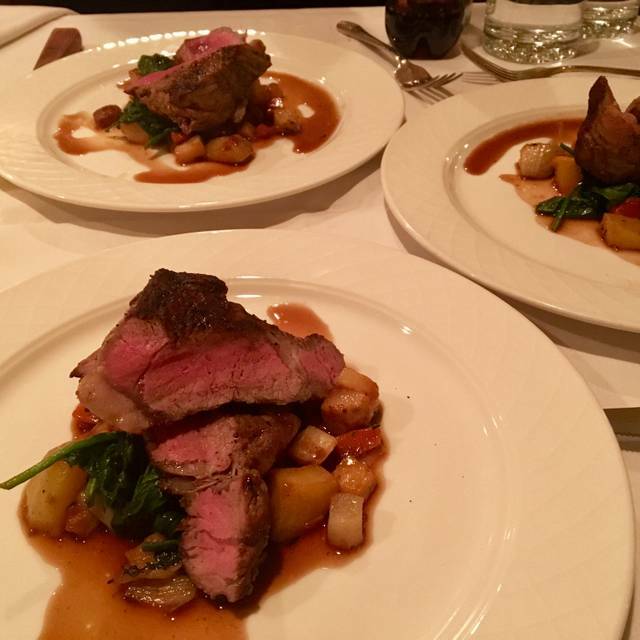 We had a great experience...the service, food, cocktails, and wine list were absolutely top notch. That said, the ambiance is sorely lacking and not in line with the price points. The decor reminded us of a lower mid-grade hotel restaurant circa 1990. We don’t consider ourselves overly concerned with aesthetics. But assuming food/service/beverage program are of the same quality, if I’m going to spend between $200-400 on dinner, why wouldn’t I opt for a place that also offers updated, modern ambience? This a nice neighborhood place that has great food and wine. We try to go here at least once a month. It is quiet enough so you can actually talk to each other and enjoy the view out over Greenlake. One of our favorite restaurants. Have never had a bad meal. Always excellent value for money spent. A warm, inviting, and quiet place for a high quality, adult dining experience. We were there for Restaurant Week so it was packed and noisier than usual. The food was wonderful! We will be back soon. Ended up at Nell's Tuesday night for restaurant week. Arrived at 6:30 and the place was 3/4's full. Busy, but not too. After receiving the menus, and ordering an aperitif, we discussed the menu with our server, Sky. She explained the dishes in detail, and the wines also. Nice touch ! Well, within 30 minutes, the place was packed. Must be restaurant week so we did the prix fixe ! But the timing of our dinner was seamless. We both had the smoked salmon / grapefruit salad. There was no skimping on the salmon. Very large appetizer ! Sky brought over a mixed basket of fresh homemade bread. YUM ! For entree, my wife had the Seared Tuna with Farro. Four medallions of perfectly cooked tuna. I had the veggie Risotto with cheese. So good ! Nobody does risotto like Chef Phil !!! We were so full from the two dishes that we had them box the desserts and ate them at home about an hour later. All in all a very enjoyable evening and at an exceptional value ! We made a pact to go back next month without the restaurant week craziness !!! Cheers ! We've been going to Nells for many years even before it was Nells. Good food although the halibut was a bit salty, my pork was perfect, service was good, cocktails were good, we definitely will go back. Wonderful location and ambience, with of view of Green Lake. Perfect size for a feeling of intimacy and calm. The service was excellent and the food fresh & delicious. Unique tastes brought together with just the right touch. I highly recommend this restaurant! Cozy atmosphere, excellent seared tuna and fantastic wine list. service was horrible, we been in this restaurant many time, & we love food & service, but not this time!!!!! Food was OK, setting was OK, service was OK - nothing to rave about except that the setting was nice and food pretty good. Oddly, our 6:30 pm rsvp on a Sunday got us seated at 7:15pm as they were running late. Thought a rsvp was supposed to hold your seat AND we arrived at 6:15. 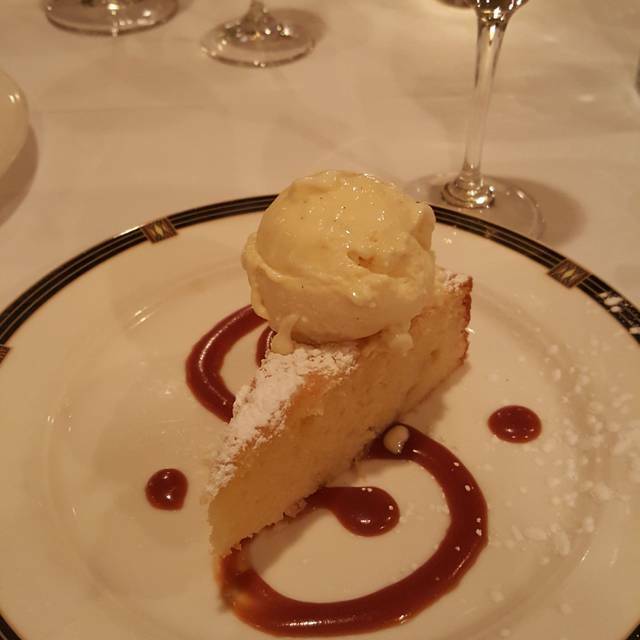 Wonderful — food, service, pace! This is a great restaurant for a quiet date night or meeting. The food is excellent, as is the service. Definitely a favorite and consistently good. Great for a casual experience or a special event. 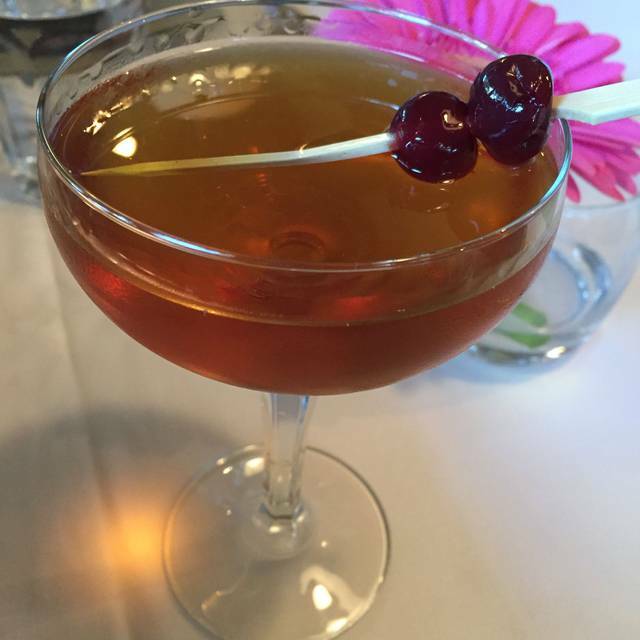 Nell's has been one of the best fine dining restaurants in Seattle for many years. Consistently excellent in all regards. Not hip. Innovative contemporary cuisine with classical roots in a lovely, quiet room overlooking Green Lake. Not to be missed. Food was great! Everything we had- fish, lamb,salads- all top notch. No pretense. Great food and great service. Our favorite spot for its combination of sophisticated ambience, inventive (but not weird) menu, attentive service and low sound level. We can actually hold a conversation! A bit pricey but worth a leisurely meal. 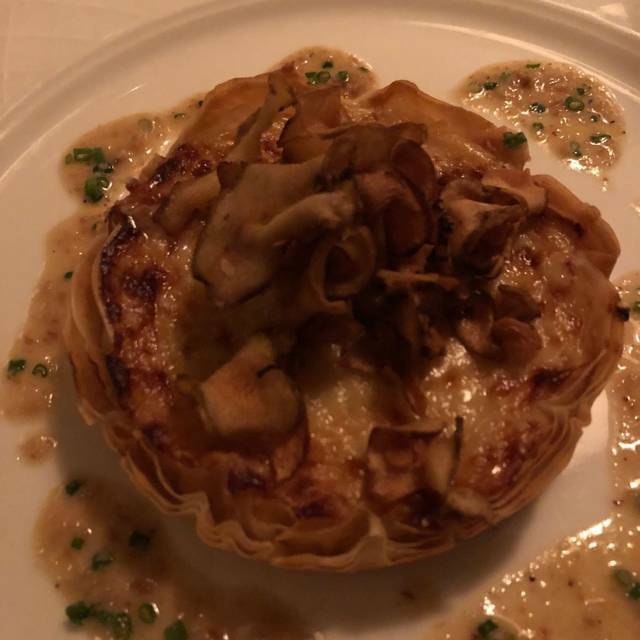 Onion tart for appetizer was excellent. Scallops for main course were cooked well but still had some sand grit. The vegetable accompaniment were very unremarkable. Dessert of apple pie seemed to come directly from the refrigerator when I had expected apples to be warm. To top it all our bottle of French wine was not very good. The experience turned out to be very different than our prior visit few months back. 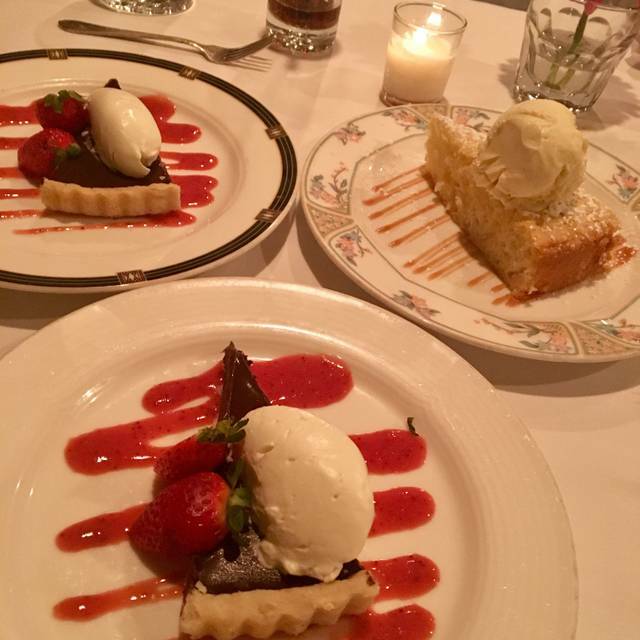 We love Nell's for its elegant food and peaceful ambiance, and have been there many times. Last night we enjoyed the chef's tasting menu, featuring fresh tuna, a risotto, rabbit or beef, and baby vegetables. Delicious! It's right on Green Lake, so has a nice place for a walk afterwards. I've been to Nell's several times, mostly for their special Chef-oriented dinners (e.g., Julia Child). This time was just a mid-week, regular, no-special-occasion dinner. After I entered the restaurant, it took several minutes before my presence was acknowledged. Eventually the bartender came over to seat me. The restaurant was not full, but possibly a bit over 50% of the tables were taken. Only one server, one runner, one bartender. They were out of my first choice of entree. The food was good, but not exceptional (the chef was in the kitchen this night). So I was underwhelmed. Forgot how wonderful this place is! Not sure what your boxes mean on noise level but it was lovely quiet music. Nell's never fails to serve excellent food. There is enough light that we can read the menu and the noise level is low so we can hear each other talk. Great meal, as usual, but took 1 hour 45 minutes. No swinging in for a quick bite. We ordered 4 small entrees. One was excellent. The salad had too much vinegar. The oysters themselves were good, but in a red sauce so peppery hot that it was toxic. Destroyed the taste of half of the oysters. The ravioli arrived on a hot plate, but the ravioli themselves were cold. I don't mean "not hot," but actually cold. A hardboiled egg with a strangely liquid, barely cooked yolk was in the center, also cold. I sent it back to heat up. When it came back the ravioli were boiling hot (good), but the egg was still cold! Sent it back again ... on return, finally everything was edible. Service was good, but no apologies for cold ravioli nor egg. Also, no reduction in price. Year after year, Nell's never fails to serve great food. Nell’s has been our “go to “ restaurant for years as Saleh al Lago was beforehand. Kudos to all the staff at Nell’s. Everything about Nell's is delightful, starting with a cozy neighborhood ambiance and warm, friendly wait staff. We've eaten here twice, and been impressed both times. Their menu changes regularly, and dishes are expertly prepared and well portioned. They do a great job with seafood. As an added benefit, the sound volume is low, so you can easily carry on a conversation. The pork loin was tender and beautifully presented. 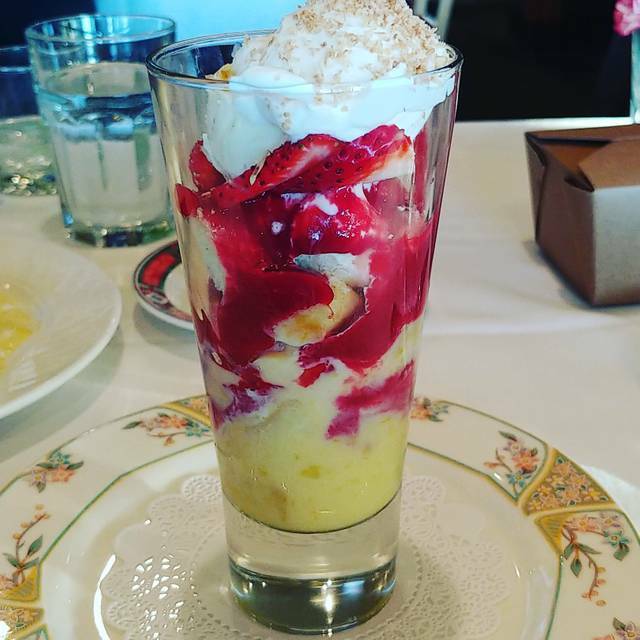 The raspberry lemon curd parfait was mouth watering! As always, everything was impeccable. Beautifully prepared and presented dishes without ostentation. Nice wine list, too! 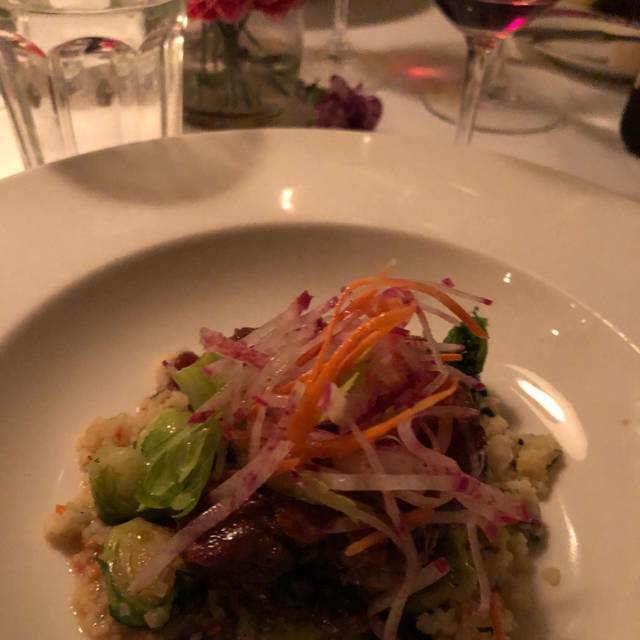 Nice quiet romantic atmosphere, great food, great service...just a bit pricey, but I would definitely and highly recommend this restaurant as well as come back again! This is one of our favorite restaurants in Seattle. We find the food to be very good and it suits our requirements. We also like that the ambiance is very good and that it is quiet. However, our tastes are not for some people. We enjoy good food, served well, in a restaurant that is quiet and is pleasant. It gives my wife and I, the opportunity to enjoy a pleasant evening out. We consume very little alcohol; my wife has one glass of wine with dinner and I have a non-alcoholic beer. We are a non-pretentious middle class, retired couple. If you fall into that category, I highly recommend Nells. 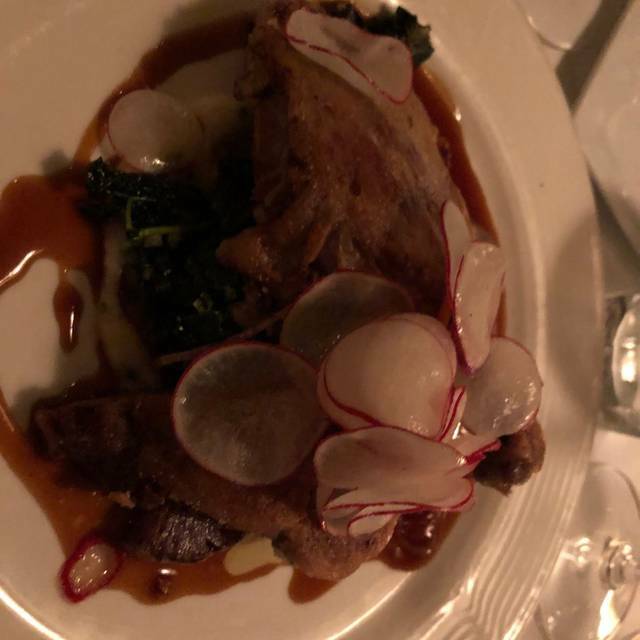 As always, Nell’s is the place to go when we want to feel completely at home but also have a special and high-caliber meal. The food is carefully planned, balanced, and executed without being fussy or high-concept at the expense of taste, more like the sort of delicious excellence you imagine a talented chef might cook for friends. And the staff definitely make us feel like we are among friends. Every time we go, we say we should go more often. I don’t know what praise would be higher than that. We have only had wonderful meals and terrific service at Nell's; this after dozens of visits. Service was slow. 1/2 hour to order. Table next to us was very loud. When reserving noted it was a birthday. No mention was made of it. Food was very good. But overall we will not return soon. And it is in our neighborhood!